The two main species of bear that are native to Alaska are the Brown/Grizzly and Black; the Black bear being the most commonly spotted. These large mammals spend a majority of their time in and around forested areas, but are not exclusive to them. Their location will vary, depending on the particular season. When winter comes, they have been known to hibernate for up to 8 months. Furthermore, bears are opportunity hunters. They feed on salmon, plants, berries, and other mammals. 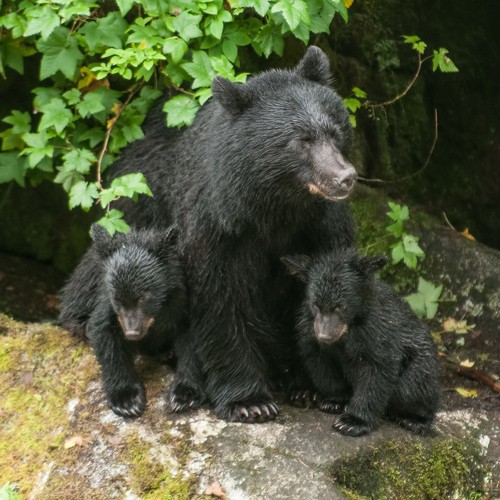 Although there is an estimated 100,000 black bear in Alaska, unfortunately, their species is threatened by the growing number of vehicle collisions and hunters, each year. Their rescue is essential to ensure that the number of accidents involving these animals drops, immensely. What do I do if I find a baby bear? It is important to note that if you come across a baby bear, it is highly likely that the mother is nearby. Many sows will leave their cubs in order find food. 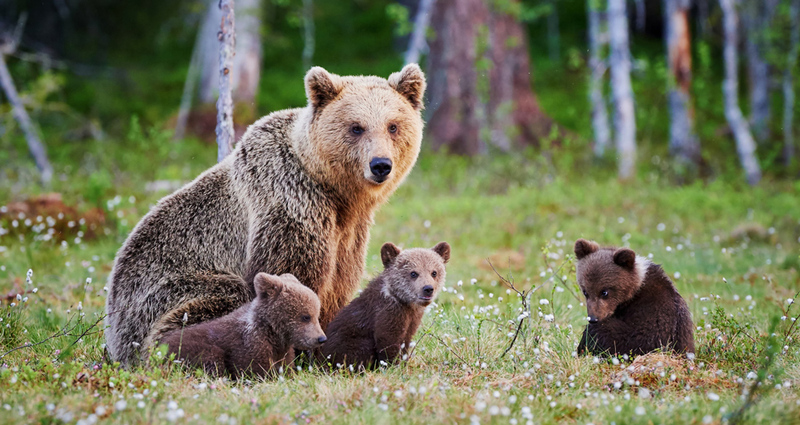 Mother bears are highly protective and dangerous if they feel that their baby is being threatened. On the other hand, if it looks noticeably underweight or if there is no sight of the mother for an extended period of time, please contact Alaska Wildlife Rescue for further assistance. Is the baby trapped in any containers? Does the baby have any injuries you can see? Do you see the mother nearby? Is baby in a tree or on the ground? What do I do if I find an injured bear? If you come across an injured bear, it is best not to touch, feed or try to corner it. Many bear will feel threatened if they are approached, especially when they are in a frantic state, and could try to attack. Remember to keep your distance and call Alaska Wildlife Rescue, immediately, for further assistance. Is the bear near a road? Can you see blood or obvious injuries? Are there any cubs nearby?